LoGOz - Full On Rock! » LoGOz on the Radio! Happily LoGOz seem to be having a good time on the radio at the moment. As well as our usual appearance on New Wave with Newman on Monday evenings we will now have Little O.C.D. 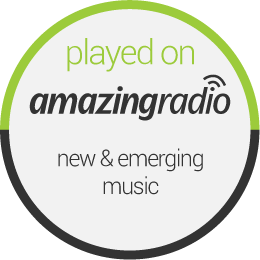 being played on Amazing Radio on Saturday night on their Amazing Rock Show with Aaron Phillips. It was selected by Aaron as a track to play on the show and for that we thank him very much. Not content with this we will now be broadcast live at the gig at The Elephant on Friday night along with The Symptoms and Shut Up. Koast Radio will be doing the live broadcast from 8pm on their Kick Out The Jam’s show. So if you’re too far away or can’t get a babysitter then worry no more, just tune in and catch the whole show as it happens, tune in from their website or from tunein radio.